If you are going to Goa for the first time, you will come across two options. The state is divided into two parts that are commonly known as North Goa and South Goa. Although both the parts have beaches, there are different experienced offered at each of them. For instance, if you are looking for a vibrant experience with lots of enjoyment on the beach shacks, then you can go to north Goa. On the other hand, if you want to have a leisure time with fewer crowds and serene atmosphere, then you can to go to south Goa. Usually, a lot of people choose northern part of the state only. There are plenty of hotels in North Goa where travellers and tourists can spend quality time during the vacation. However, there are some factors to keep in mind while selecting the best hotel from the list. Some of them are explained as below. 1. Look for the location: North Goa is a quite a big place, hence there are many accommodation options. However, it is wise to pick up a hotel which is near any of the beach. This way, you can save much time and cost in travelling to and from the hotel and the beach. 2. Type of hotel: This depends on the kind of experience you are looking for on a vacation. If you want a calm and luxurious stay, then you can choose resorts. However, if you just want a hospitable time, then there are hotels for you. 3. Tariff: Your choice of hotel depends on the tariff of the hotel too. It’s your decision to spend either 2000 INR per night or 8000 INR per night on the hotels. You can choose any of the hotels based on your budget and interests. 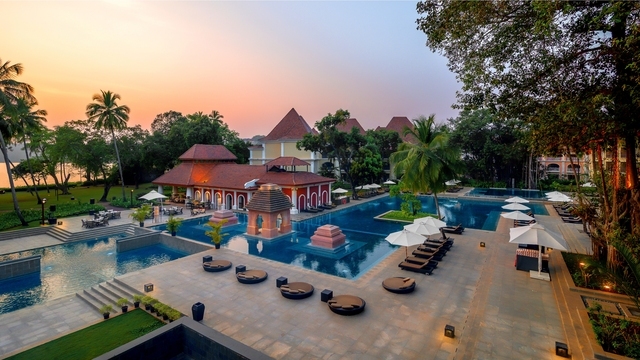 Here are some of the amazing hotels in North Goa where you can plan an unforgettable stay. SinQ Prive: This is a 4 star hotel which is located in Candolim beach, one of the popular places of Goa. There is a rooftop swimming pool, a hookah bar, and also a restaurant on the terrace of the hotel. All the rooms at this hotel are spacious with all the basic to advanced facilities offered. The inhouse restaurant of the hotel provides tempting food from different cuisines. Overall, the hotel offers a grand stay. Royal Pearl Resort: This is also a 4 star resort which is situated at the Vagator beach of North Goa. It is a grandeur place and offers all kinds of facilities to the guests. It is located to the popular Baga beach. The tariffs of the hotel are affordable and it is a perfect place for both couples and families. The Avenue Calangute: It is near to the Baga Beach and offers a great experience to the guests. The rooms are designed and classified based on the space and amenities. The ratings of this hotel are really good, hence it can be a good option to consider. The Belmonte by ACE Suites: If you are looking for a serene place to relax and spend your location, then this hotel in North Goa is one of the best choices. It is a magnificent hotel promising a spectacular experience. Select any hotel based on your needs, and you will surely enjoy your stay in North Goa. ← Budget Homestays in Goa For Your Next Vacation!